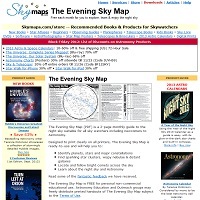 CLICK THE TABS/LINKS TO FIND ASTRONOMY CLUBS, PLANETARIUMS & OBSERVATORIES, DARK SKY SITES, ASTRONOMY EVENTS, WEATHER PAGE, FREE TOOLS TO FIND OBJECTS IN THE SKY AND ASTRONOMY GEAR. 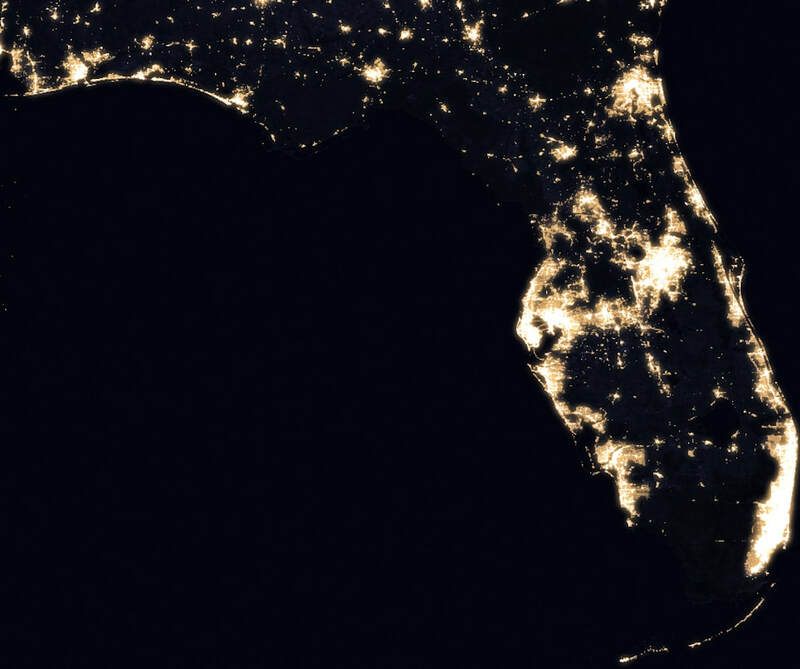 There are public Astronomy events in Florida's parks, star parties and New Moon observing events with Astronomy clubs from dark sky sites, and events at observatories and planetariums. I list the ones I hear about at the Florida Astronomy Events page. 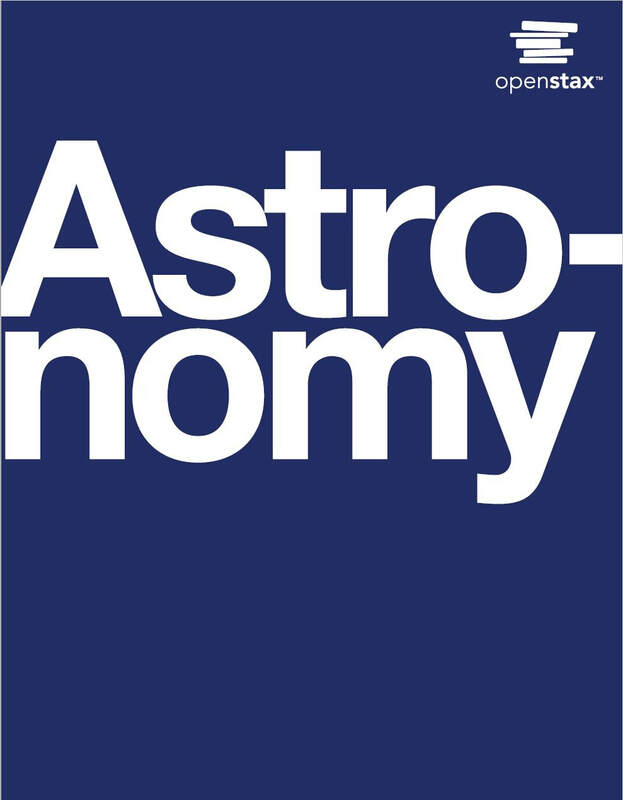 THERE'S AN ABSOLUTELY FREE HIGH QUALITY ASTRONOMY TEXT BOOK WRITTEN BY ASTRONOMY PROFESSORS AND SOME OF THE LEADING ASTRONOMERS IN THEIR SPECIALTIES, AT OPENSTAX AS A PDF, OR ON AMAZON KINDLE, OR APPLE IBOOKS OR VIEW IT ONLINE BY CLICKING HERE. The above was produced by Kika Silva Pla Planetarium at Santa Fe College in Gainesville, Florida and Cincinnati Observatory, and Copyright South Florida PBS, Inc. (WPBT Miami). 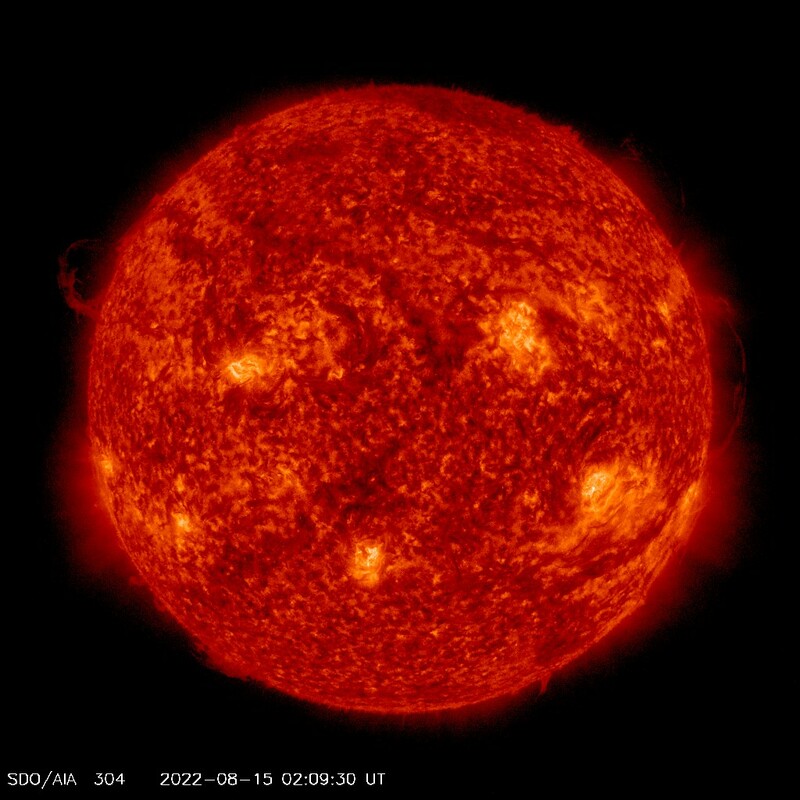 The image below is the Sun's near-visible-light-like disk today (but the image below is via the NASA Solar Dynamics Observatory satellite HMI filter). Never look directly at the Sun with your eyes, binoculars or a telescope without the proper filter protection. 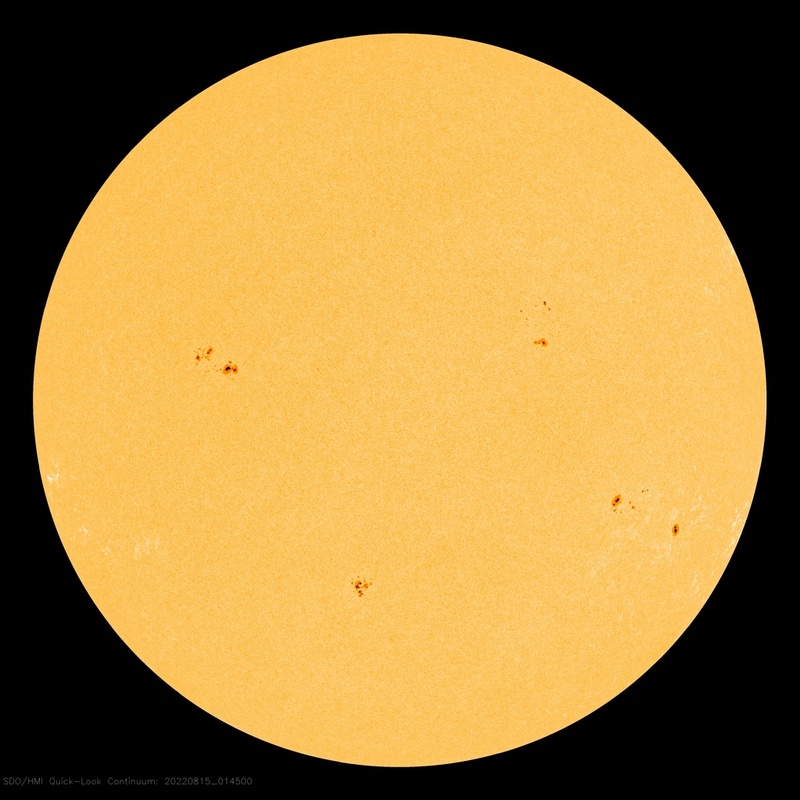 We are at sunspot activity minimum during 2019-2020. Below is the latest Sun image from today via the SDO AIA304 filter (which is the 304 Angstrom or 30.4 nanometer emission wavelength of the helium ion.) Images Courtesy of NASA/SDO and the AIA, EVE and HMI Science Teams. 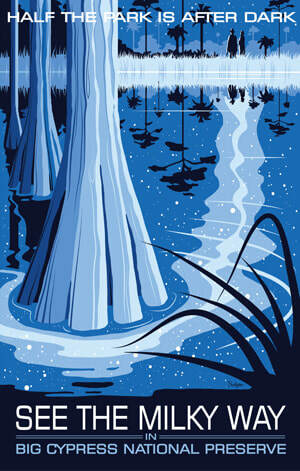 EVERY DAY IS ASTRONOMY DAY! ﻿﻿ Hi, I'm Jason Higley, I've made this website so that we all can find things related to Florida Astronomy. Behind me is the ​Embry-Riddle Aeronautical University 1 meter telescope in Daytona Beach (I was just visiting). They have free public viewing nights roughly 6 times a year. I've added more solar system object images I shot years ago when I experimented with point-n-shoot cameras for astro-imaging to my Some Astro Images page.